Labtec LLC is an ISO 9001 certified company and a leading manufacturer of Laboratory and Hospital Furniture&apos;s & Systems with manufacturing facilities in Sharjah since 1988. With over 300 employees, Labtec is specialized in consulting, design, manufacturing, supply, testing, commissioning, installation and maintenance of Laboratory Furniture, Fume cupboards & associated items for educational sector (schools, institutes, universities), hospitals, research centers, pharmaceutical and chemical industry, petrochemical sector and other industrial market segments, where furniture&apos;s and laboratory systems are in need. Labtec&apos;s laboratory Furniture & Fume cupboards are designed and manufactured to provide a durable and aesthetically pleasing solution to the increasing operating, productivity, safety demands of the modern laboratory and to ensure many years of intensive use in a demanding environment. Labtec&apos;s major markets are the GCC, Africa, India and rest of Asia. However our clients are from all over the world and our products and services are highly appreciated from indigenous companies up to international and multinational cooperation&apos;s in USA, Europe and Asia. The national and international market presence of our company name for several years has resulted in a very positive image and high reputation of Labtec LLC. 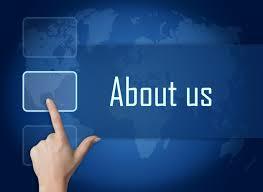 During the years we were able to establish very good references all over the world. As a Group Company of the venture capital Masharie / Dubai Investments (www.masharie.com/www.dubaiinvestments.com), Labtec gains an initial position and competitive advantage in its expansion strategy. Our Vision is driven by our company core philosophy, INTELLIGENT LABORATORY SOLUTIONSTM: to become a well established premium brand in laboratory furniture and systems in the African, MENA and South East Asian Markets. Our Mission is to deliver Laboratory Furniture & Systems to all relevant industries and markets (Education, Pharmaceuticals, Health & Care, Petrochemical Industry and other industrial fields, e.g. chemical & biochemical industry), by supplying integrated solutions and complete service. Labtec takes competitive advantage through its core competencies, Material Sourcing, Design and Drawing know-how, Product-Quality, Flexibility, Pre & After-Service and Installation Expertise.